April 9, 2014 (COLUMBIA, S.C.) – Eddie Wales, owner of Motor Supply Co. Bistro in Columbia, South Carolina, is pleased to announce that Wesley Fulmer has been tapped as the new Executive Chef at the progressive, farm-to-table restaurant in the Congaree Vista. Chef Fulmer, originally a native of Prosperity, S.C., has returned to the Midlands after spending over a decade honing his craft in some of America’s top culinary cities. Fulmer worked in Philadelphia at French-Chinese fusion restaurant Susanna Foo. Chef Foo, winner of two James Beard Awards – one for Best Chef in the Mid-Atlantic Region and one for Best International Cookbook – is widely regarded as one of the most accomplished Chinese chefs in the U.S.
More recently, Fulmer served as Sous Chef at The Atlantic Room at The Ocean Course at The Kiawah Island Golf Resort near Charleston, S.C., where he led the culinary team during the 2012 PGA Tour Championship and through several of the South’s most elite weddings and corporate banquets under Chef de Cuisine Jonathan Banta. “Chef Fulmer has a great understanding of when to push the envelope and when to hold back and let simplicity shine,” says Chef Banta. Chef Fulmer is classically trained in French and Italian techniques, including French and Italian pastry and baking from the Auguste Escoffier School of Culinary Arts, formerly the Culinary School of the Rockies, in Boulder, Co., and he has worked at the Michelin-starred Restaurant Christian Etienne in Provence, France. An appreciator of fresh, local ingredients, Chef Fulmer enjoys mixing traditional with modern techniques: new trends like sous vide and molecular gastronomy often find their way into Chef Fulmer’s dishes. His other skills include haute cuisine, a-la-carte service, multi course meals and prix fixe menus, and his repertoire is stocked with Creole, Asian, Cajun, French and Southern influences. Chef Fulmer grew up in a food-loving household in Prosperity, S.C., and was a College of Charleston alum years before he worked in the kitchens of Charleston eateries. He is excited to find himself back in South Carolina, along with his wife and young son, as the new Executive Chef at Motor Supply. 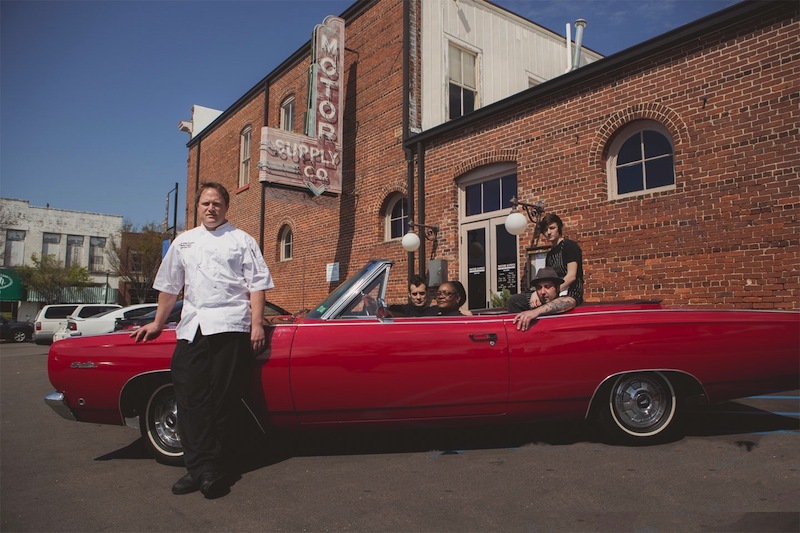 Chef Fulmer takes the helm from Chef Tim Peters, who spent eight years as Executive Chef at Motor Supply. Peters is returning to his home state of Vermont to be closer to family and immerse himself in the sustainable food culture of New England, just as he did in Columbia.